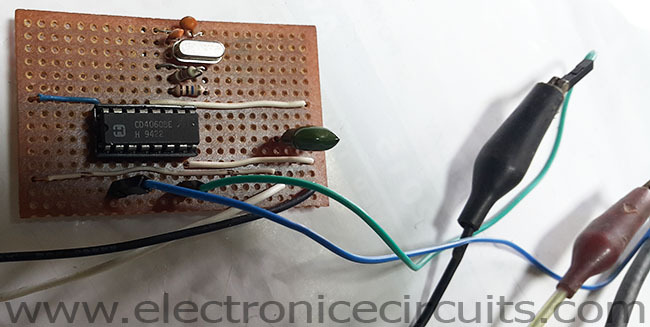 This is a simple, accurate 1 kHz square wave crystal oscillator circuit using frequency divider IC and crystal. 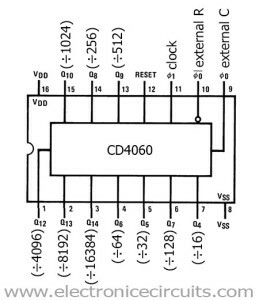 Our circuit uses a CD4060 ripple carry binary counter to divide the crystal frequency. 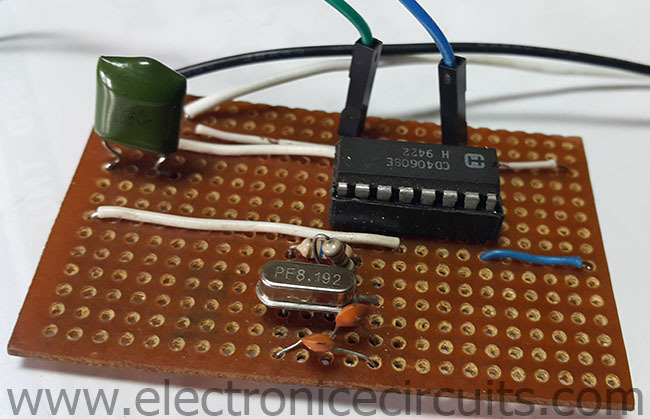 In this circuit pulses at IC1 pin 2 (Q13) divide by 213=8192. 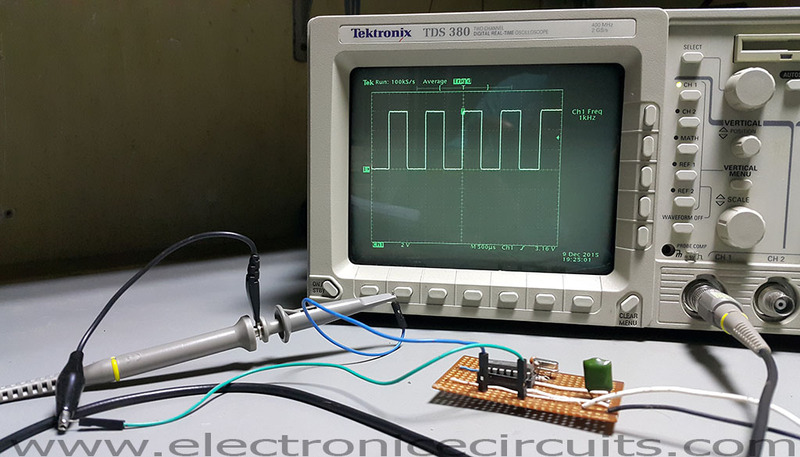 When we use 8.192MHz crystal we can get 1kHz square wave frequency output. 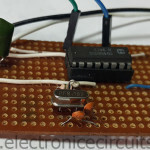 R1 acts as bias resistor. 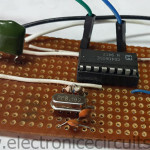 R2 acts as a current limiting resistor. 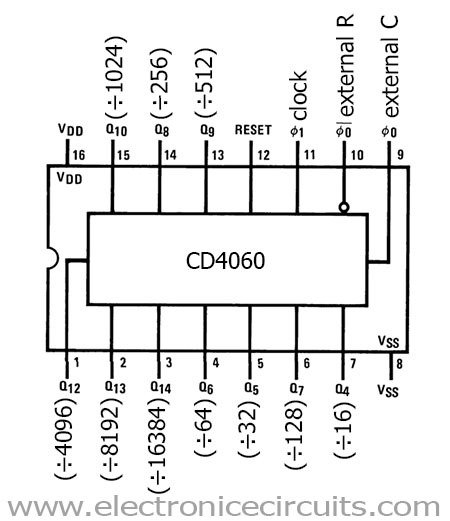 CD4060 contains oscillator or astable stage followed by a 14 stage binary counter/divider. 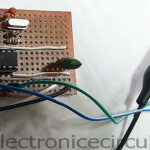 Above circuit works between 5v to 15v. 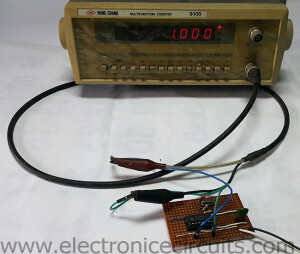 Please increase supply voltage between 10V to 15V, If circuit fail to oscillate. Nice design and simple. I am looking for a straight 30khz signal. So i figure using a 7,68Mhz crystal and dividing by 256 gives me excactly that. 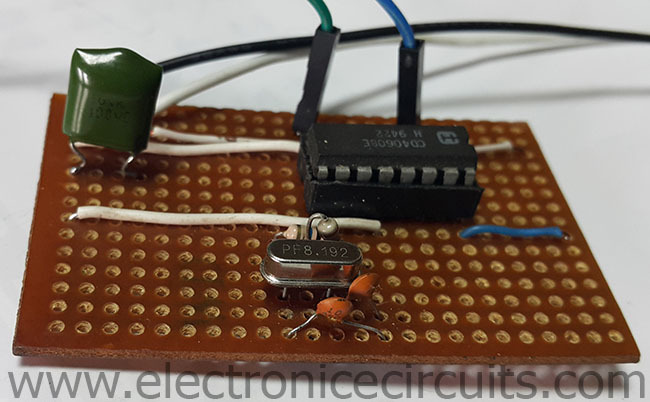 First of all, the IC provides a really reliable crystal oscillator. I tried crystals that did not oscillate using a colpits and a pierce circuits, and the crystals oscillated nicely in this CD4060 circuit. The waveform on my ‘scope was a beautiful sine. 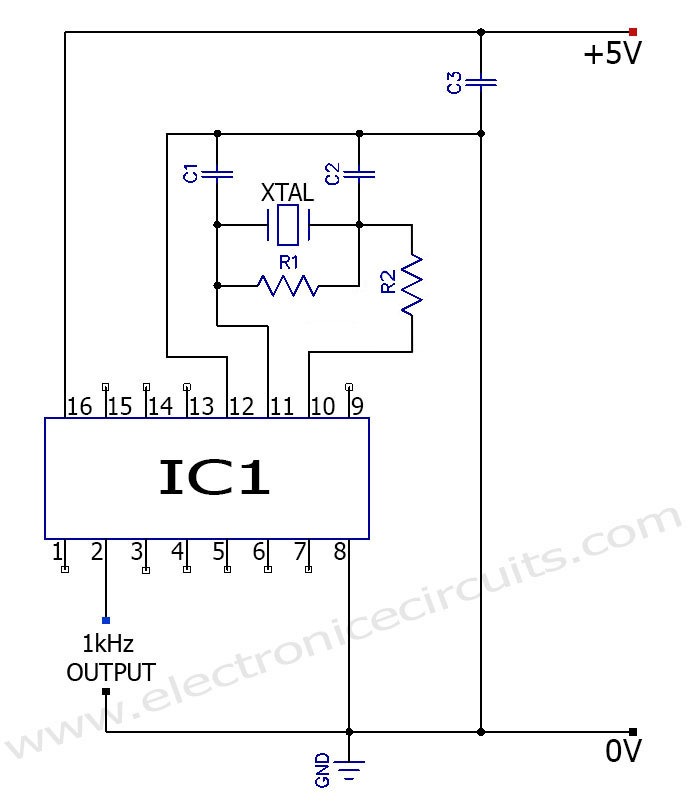 I would use this IC as the source for any crystal oscillator because of that. And also, the circuit performed as advertised, and divided the frequency nicely. Also, I substituted 10 pF for c1 and c2, and it worked nicely.